Come to summer camp! We’re building and running it together, by consent, with equivalence, transparency, wildness, safety and FUN! And we invite YOU to join us! 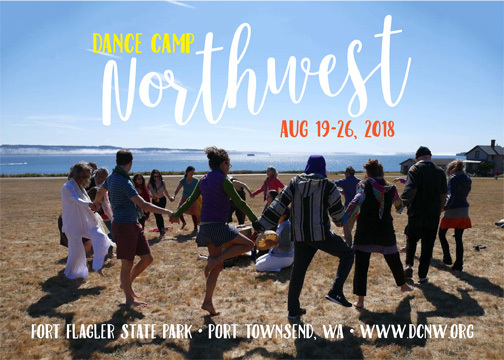 We continue to reach out to the ecstatic, contact, electronic music, world, blues, tango, swing, and related dance communities in the Northwest, inviting dance organizers, teachers, activists, healers, artists and anyone who cares to about creating our own camp! There will be professional classes all day; ample opportunity for community offerings; nutritionist designed, nutrient dense meals; and a variety of evening events and jams well into the night! 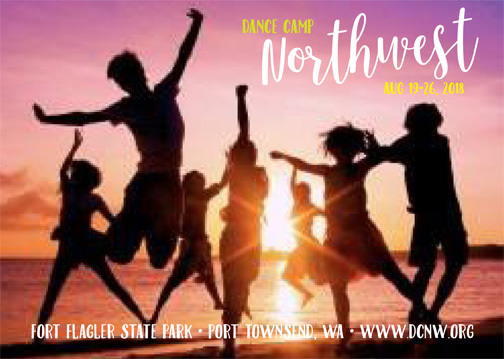 Now in our sixth year, Dance Camp Northwest is creatively based on the hugely successful Dance New England which began 40 years ago to birth and nurture the ecstatic, free, and barefoot dances peppering the planet today. 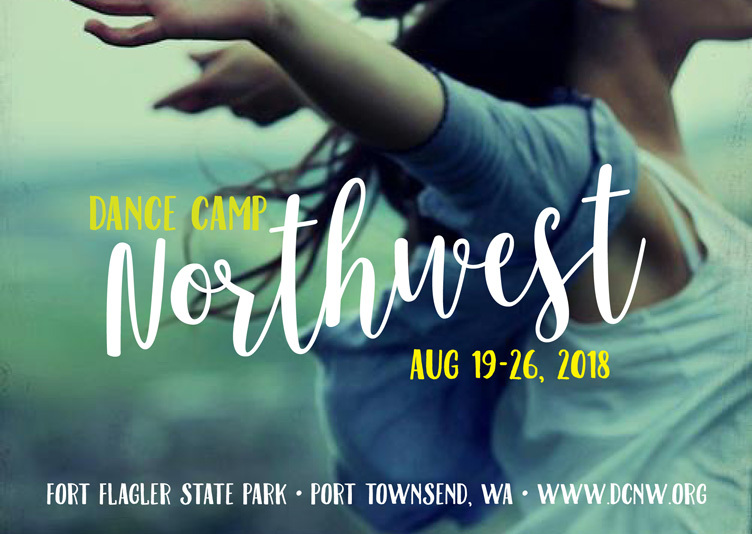 We join the movement toward creating dance camps to serve, deepen and evolve humanity by interweaving our tribal roots into one earth community. Nala Walla will be sitting on a panel exploring the connections between gut health, and mental health. She will be sharing ecosomatic perspectives on Griefwork as a path to epigenetic wellnes.